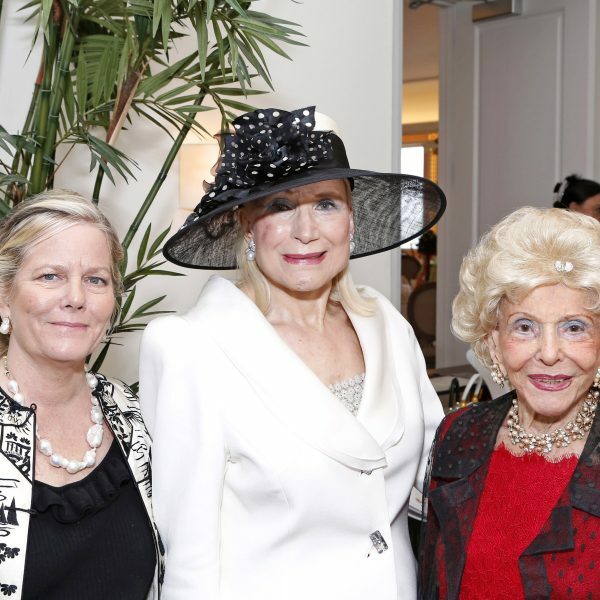 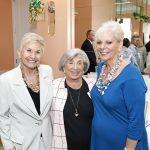 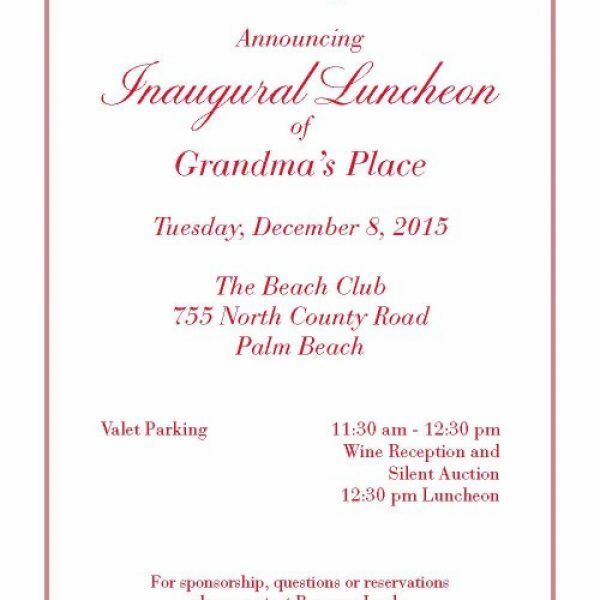 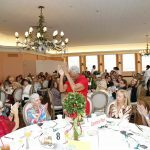 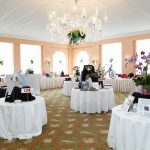 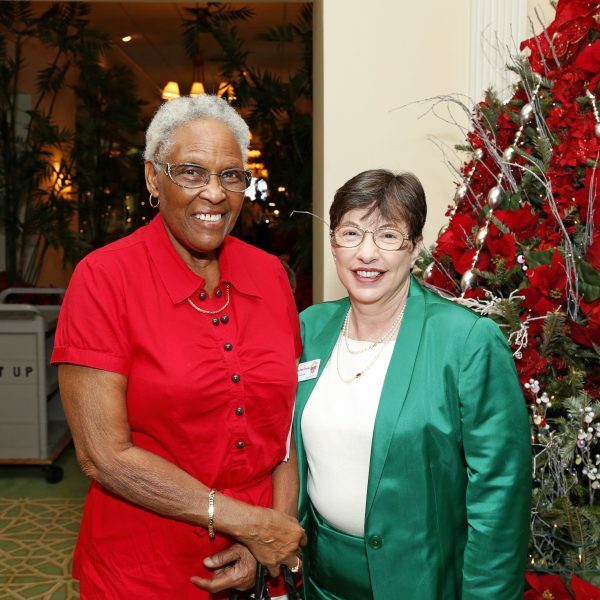 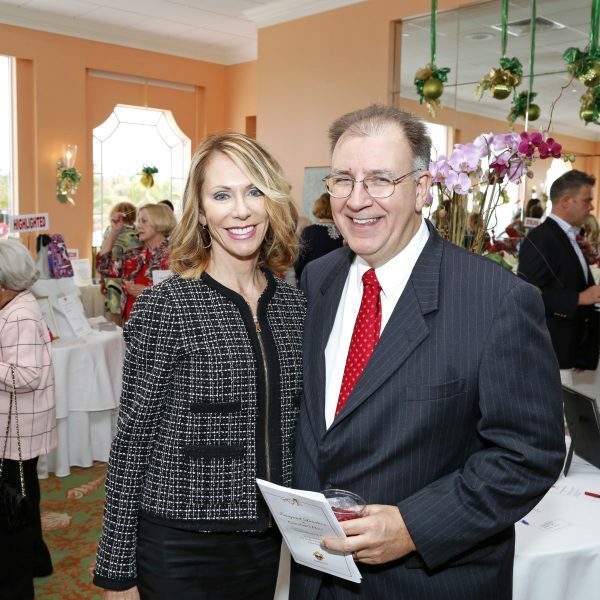 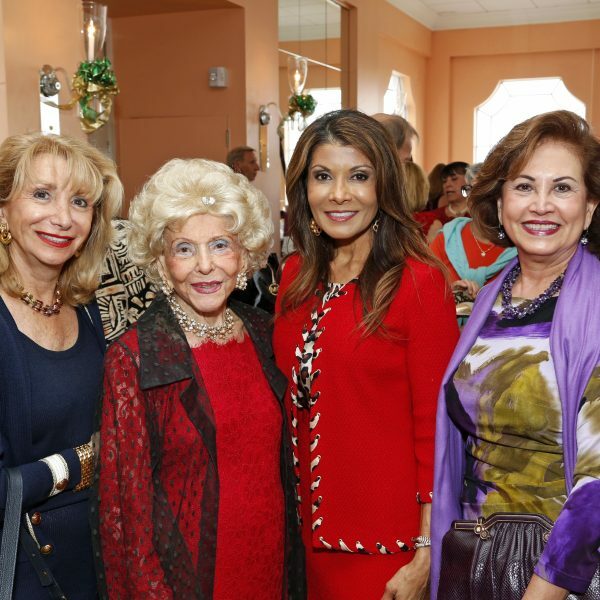 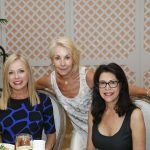 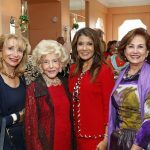 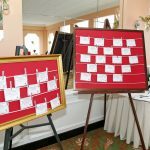 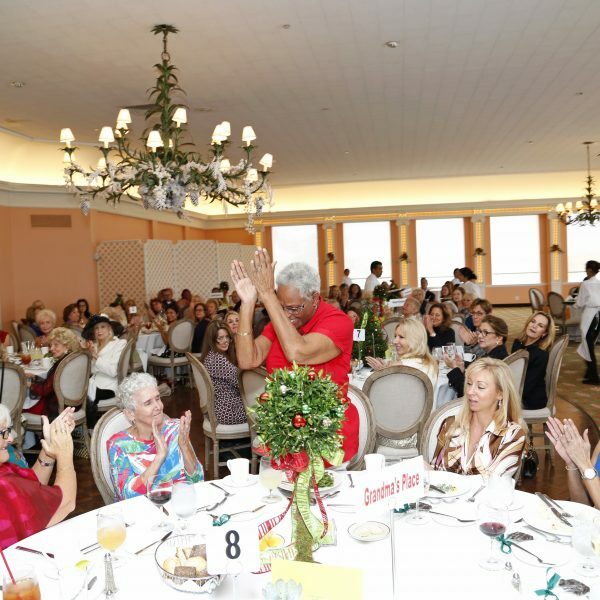 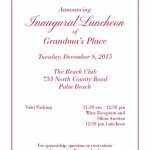 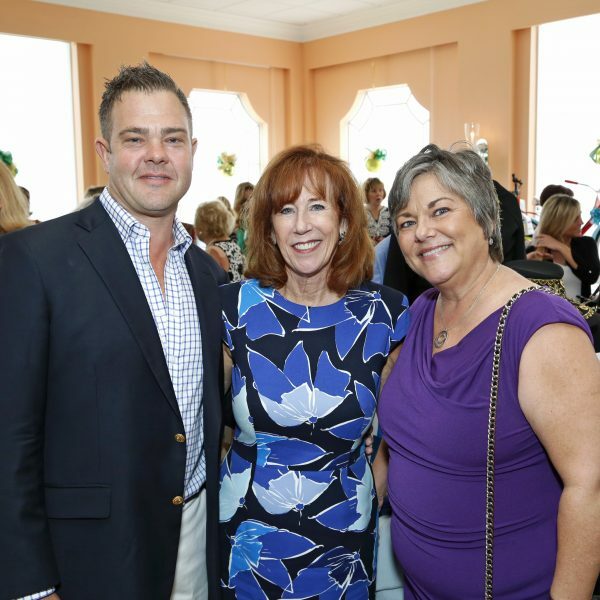 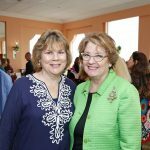 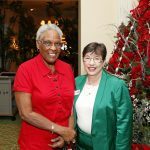 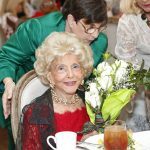 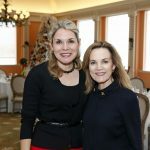 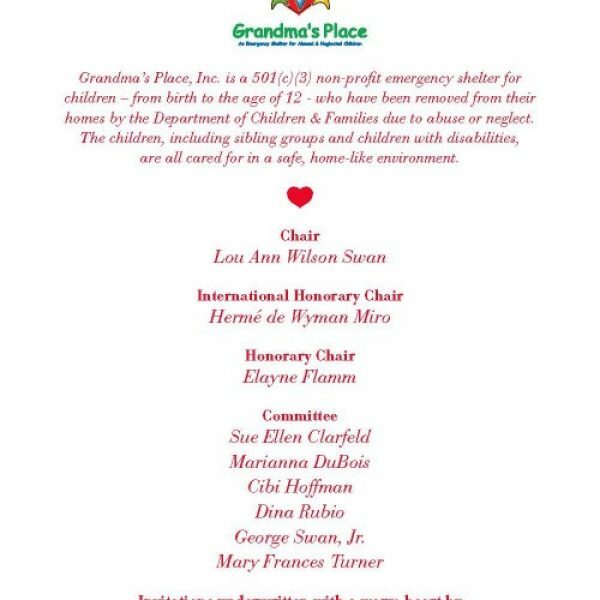 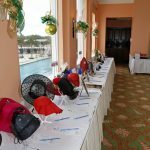 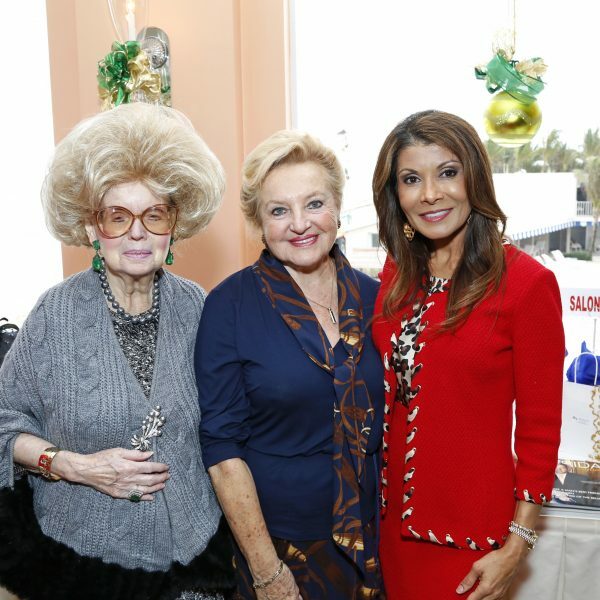 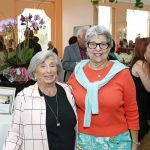 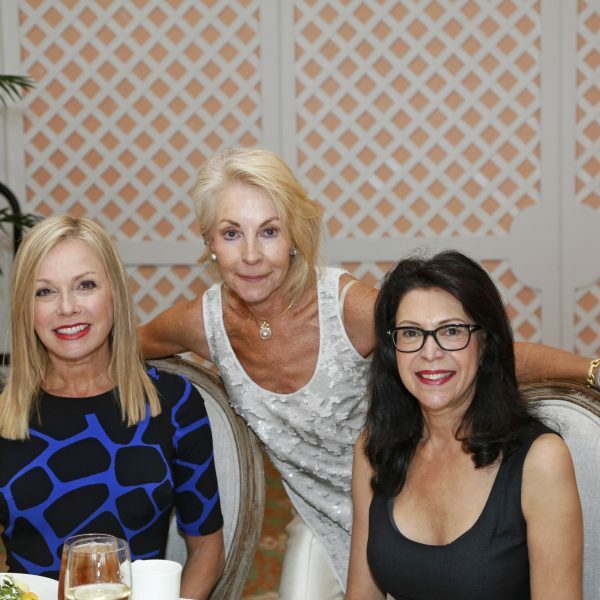 The Inaugural Luncheon for Grandma’s Place was an incredible success as long-time supporters and new friends gathered at The Beach Club in Palm Beach on Tuesday, December 8th for a great silent auction, live auction and appeals to help Grandmas Place continue its’ life changing work. 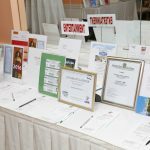 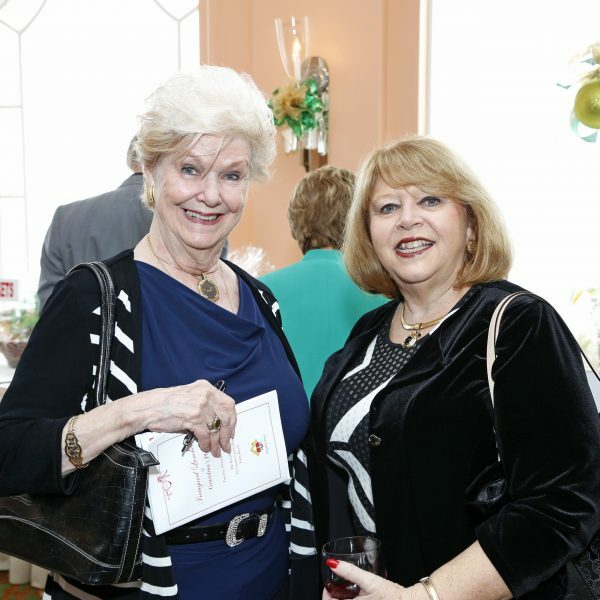 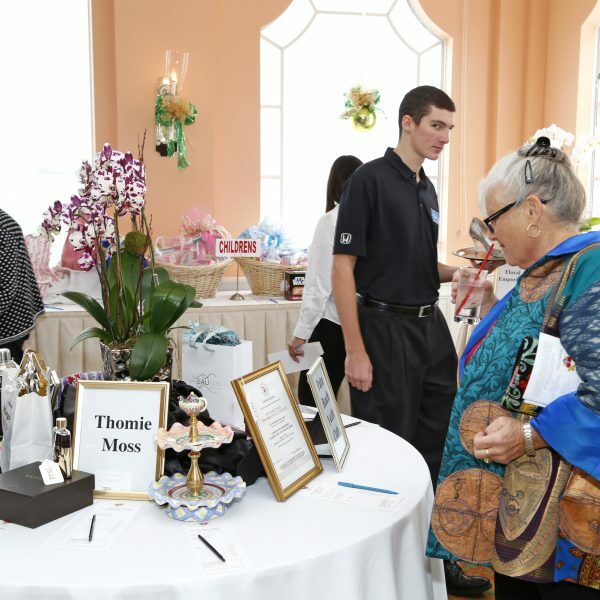 Guests enjoyed a wine reception as they bid on over 150 fabulous silent auction items. 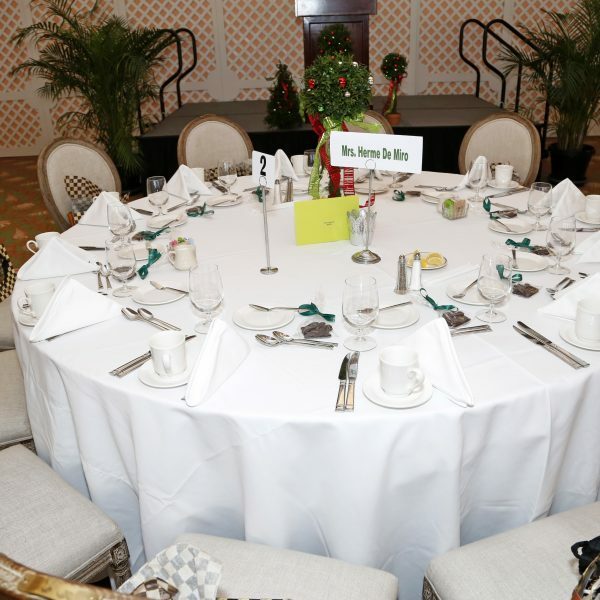 When the door opened to the ballroom, they were awed by the beautiful red & green topiary centerpieces. 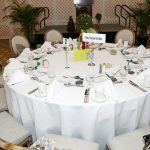 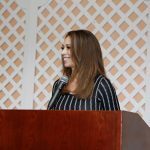 When guests sat down they were welcomed by celebrity emcee Liz Quirantes, Channel 12 News Anchor who talked about her deep commitment to the children in our community. Karen Vaughan, Board Chair, greeted guests and presented gifts and roses to Honorary International Chair Herme de Wyman Miro, Honorary Chair Elayne Flamm, and Event Chair Lou Ann Wilson Swan.Â Committee Members Sue Ellen Clarfield, Cibi Hoffman, Dina Rubio, and George Swan, Jr. were asked to stand and be recognized for the incredible job they did. 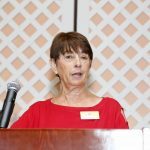 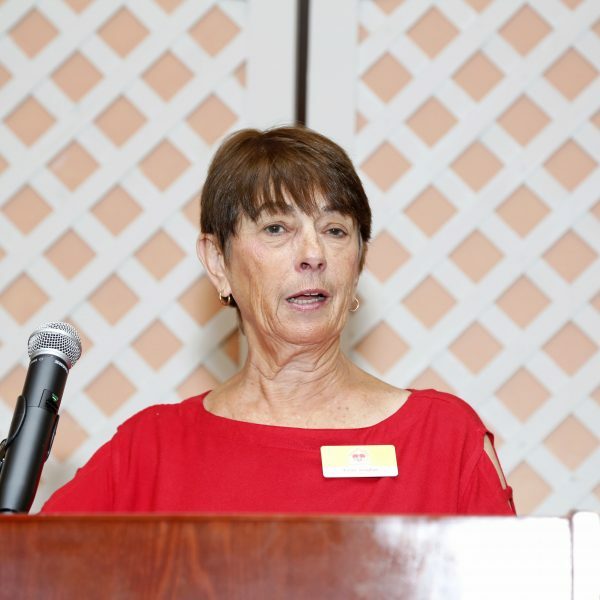 Michele Poole, Treasurer of the Board, gave a compelling speech about her commitment to Grandma’s Place and stories of some of the past children. 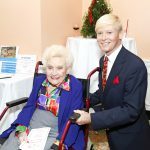 She asked “Grandma Bessie” Gordon, who the shelter was named after, to stand and be recognized. 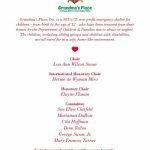 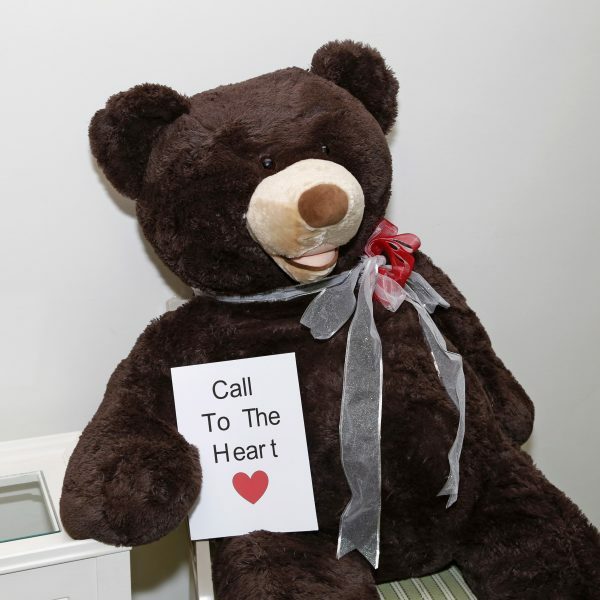 Then a few of the children from the shelter then sang a Christmas carol with their Music Therapy teacher, Miss Karen House of PB Music Institute. 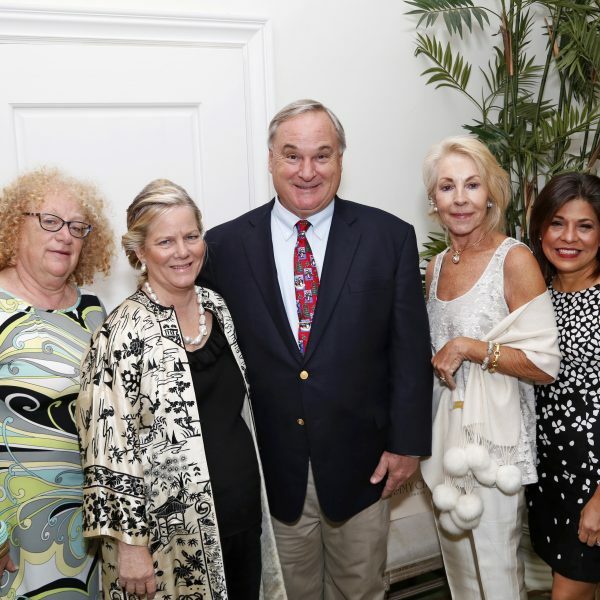 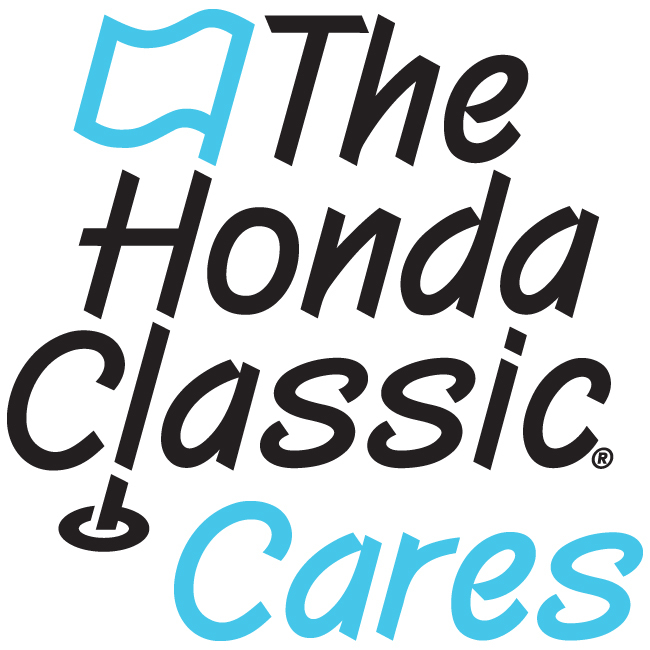 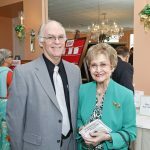 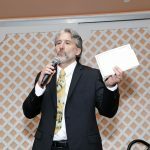 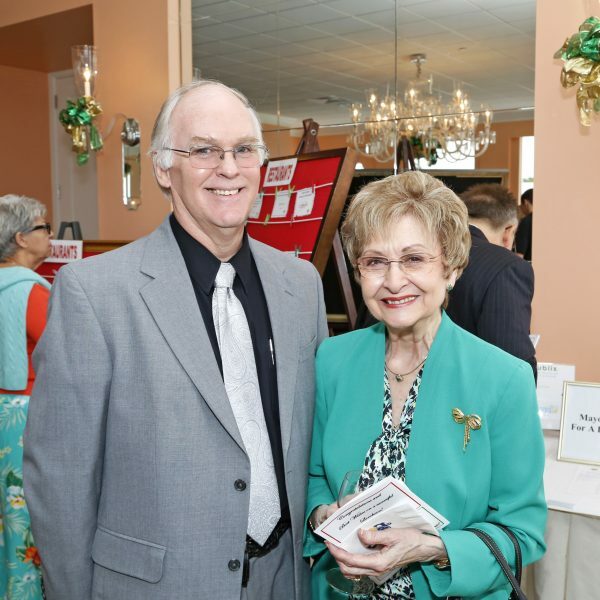 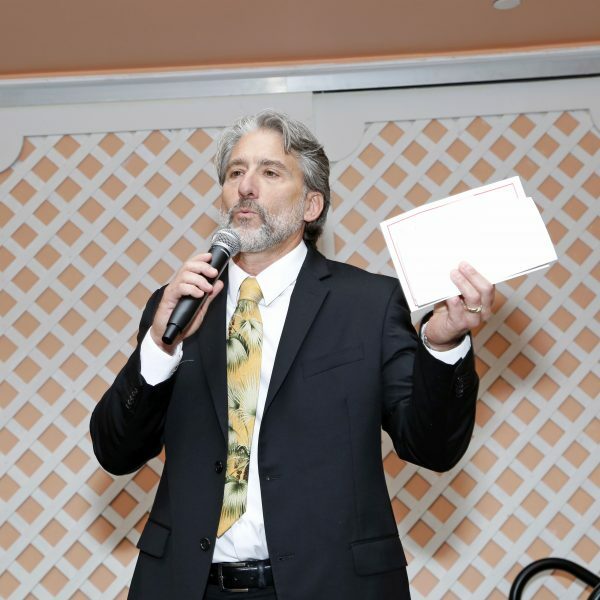 As guests dined on filet mignon, they were entertained by a live auction emceed by Neil Saffer, of Saffer & Company who raised over $15,000 with items such as a Race Car Driver experience, a week stay in a North Carolina and a very profitable Call-to-the-Heart. 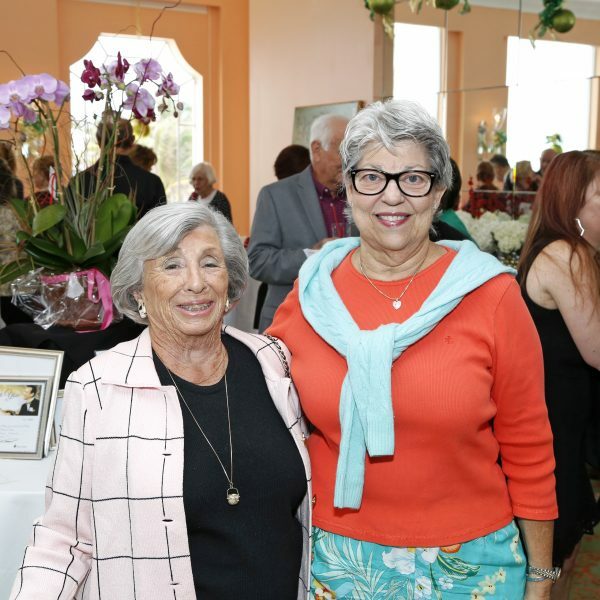 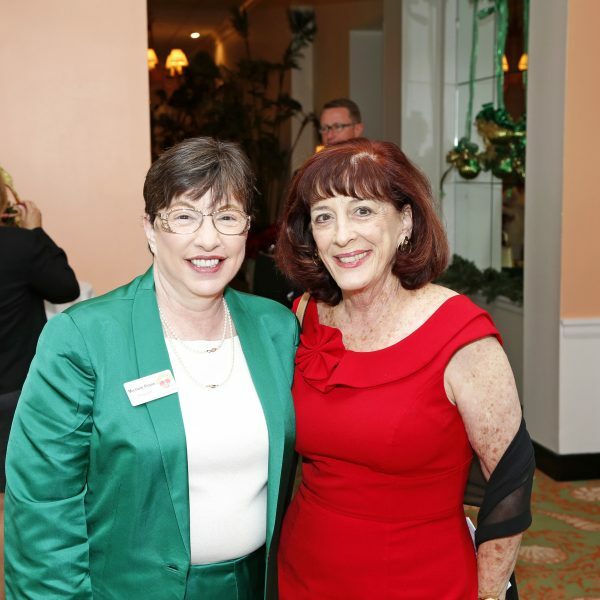 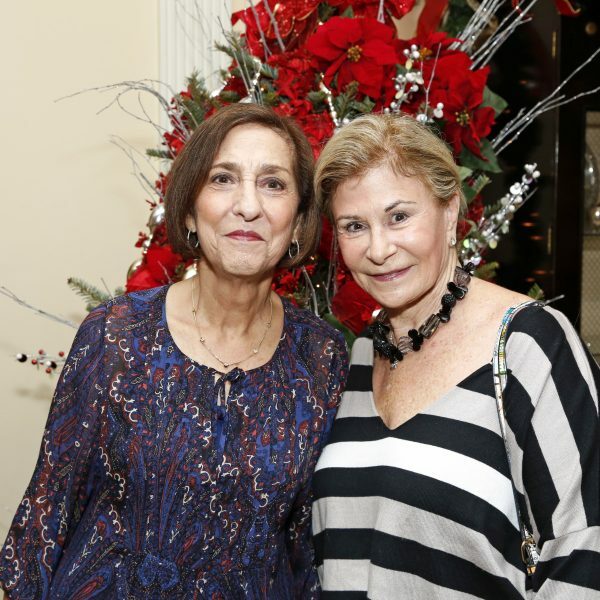 Some of the guests in attendance were Commissioner Paulette Burdick, Jeff Koons, Tammy Fields, Sarah Alsofrom, Beverlee Miller Raymond, Ellen Smith, Suzanne Holmes, Helene Karp, Ellen Kestcher, Midge Lansat, Debra Porreco, Joan Rubin, Mary Simses, Deanne Stepanian, Patti Travis, Margaret Donnelley, Pastor Dan West, Phyllis Verducci, Sally Chester, Valerie Seifert, and Mary Liguori.